Once you commit to investing in a trade show exhibit, the clock starts ticking. You undoubtedly want to provide a quality experience for attendees that will in turn pay off in quality leads and ultimately new business. By providing highly reliable and cost-effective bonded LTE systems, our event internet and tech for trade shows will help you thoroughly impress your booth traffic with amazing product demonstrations, social media interaction and much more. Trade shows have evolved dramatically during the past decade. Marketers are using an increasingly diverse level of technology to attract booth traffic and provide an immersive experience for attendees. Trade shows provide only a few days to make a quality impression. 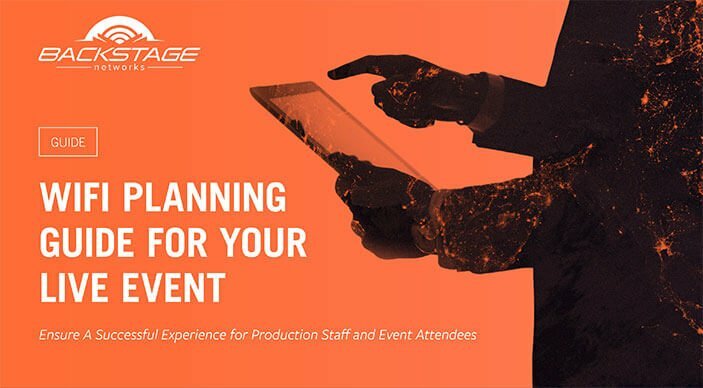 Enhance your attendee’s exhibit experience with a localized IT infrastructure that will showcase your products and services. We’re fully-committed IT and WiFi professionals who are laser focused on reliability for any trade show event. Backstage Networks is widely-known for our ability to get Internet circuits at lower cost than other providers, and we can do it much faster. We realize that the risk of your Internet going down can bring your entire event down. But with our stable networks, that risk is virtually eliminated. Trade show venue-provided Internet connections are typically expensive. We can provide both trade show sponsors and their exhibitors a much more cost-effective Internet connection solution along with bonded LTE systems.